Innovation, research and customization: our challenges for development. A team with a very accurate planning philosophy, with the aim to redress the balance between design, concept and functionality. 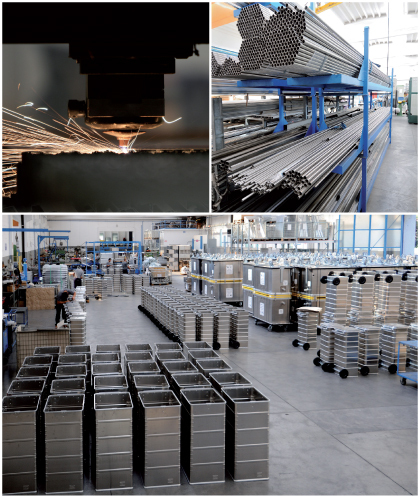 Steel and Aluminium are shaped with working processes of great precision by a highly-trained staff. This has been our production reality for over 50 years.